This International Standard provides guidelines beyond the requirements given in ISO 9001 in order to consider both the effectiveness and efficiency of a quality management system, and consequently the potential for improvement of the performance of an organization. When compared to ISO 9001, the objectives of customer satisfaction and product quality are extended to include the satisfaction of interested parties and the performance of the organization. This International Standard is applicable to the processes of the organization and consequently the quality management principles on which it is based can be deployed throughout the organization. The focus of this International Standard is the achievement of ongoing improvement, measured through the satisfaction of customers and other interested parties. 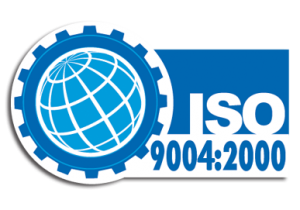 This International Standard consists of guidance and recommendations and is not intended for certification, regulatory or contractual use, nor as a guide to the implementation of ISO 9001.